As Germany’s fourth largest city, Köln has plenty to offer for locals and tourists alike. It’s still a city, so unless you live there you aren’t going to be wanting to spend an extended period in one place, but there’s more than enough to keep you continuously busy for a long weekend city break. 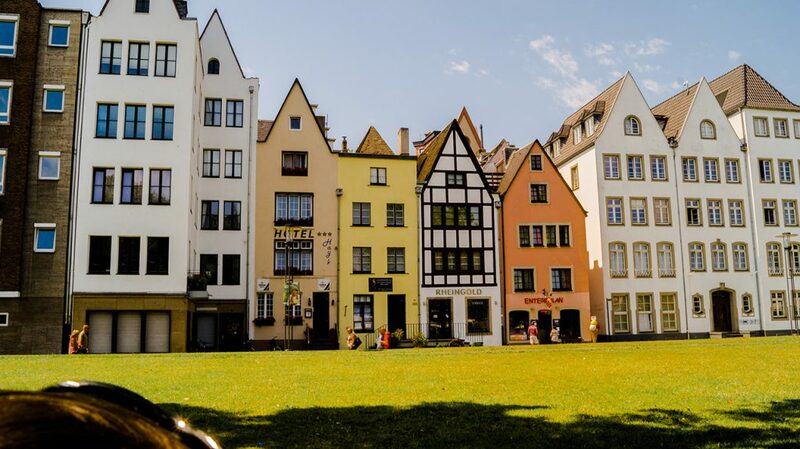 The most difficult part of visiting Cologne is making sure you plan properly so that you can see, experience and visit all of the features and attractions that this beautiful city has to offer.When you’re going to an alien destination, it can sometimes be hard to choose from all of the activities it has to offer. 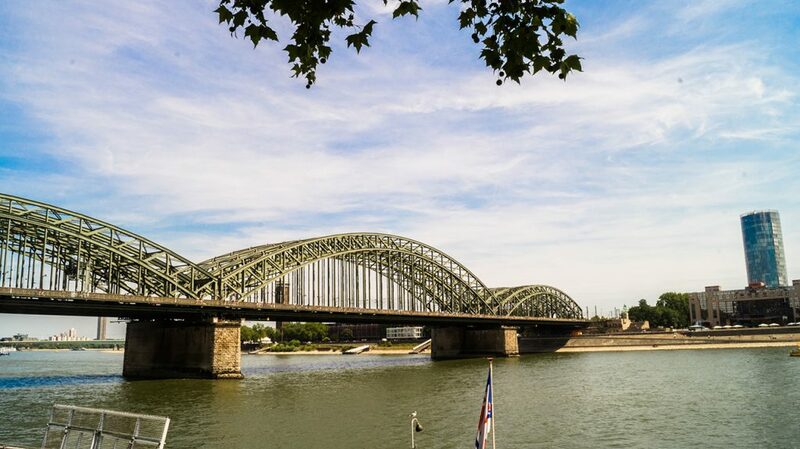 To help you on your way, here are a few of the best things to do in Köln, having experienced the majority of them myself. The cathedral is pretty much the main attraction in Cologne, so it’s a must see for anyone that visits. It’s almost impossible to miss – you can see it from all over the city, and it’s adjacent to the main transport hubs so there’s a good chance you’ll have to travel right past it.It’s a free attraction, has plenty of beautiful art work and sculptures inside, and is overall a massive architectural masterpiece. 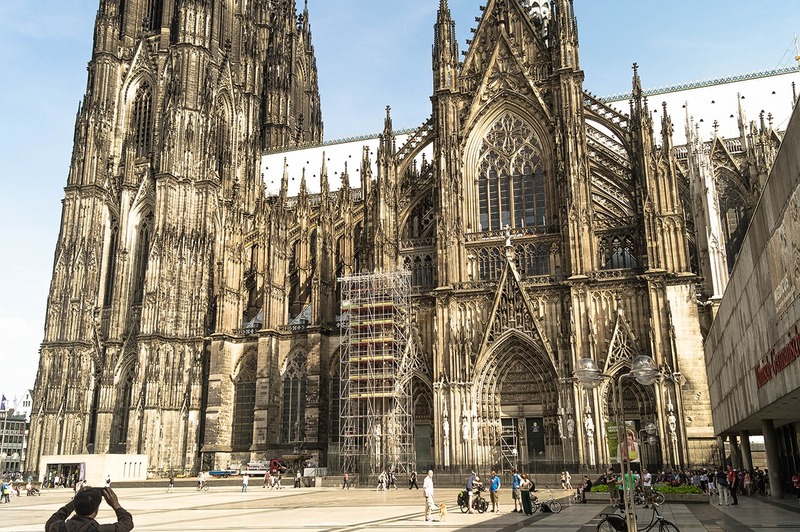 If you only have time to visit one thing in Köln, visit the cathedral. Second only to the Danube, the Rhein is one of the longest rivers in central and western Europe. It has major significance historically, and is still a major part of modern day logistics. Weather depending, the Rhine can be an amazing place to just chill out and relax. If you’re lucky enough to get a sweltering 34 degrees (as I did) then you’ll certainly want to spend some time on the riverbanks with an ice cold drink just enjoying the atmosphere.You can cross the Rhine at a number of bridges, and although it’s quite the distance to walk over, it enables you to visit a massive park where you can even get to the waters edge to soak your feet. If you’re burnt out from all the walking and tubing around the city, then there are few better places to take a time out than along the river. Also along the Rhine, and a short walk away from the cathedral, is Cologne’s Old Town. This part of the city looks exactly as you would expect any German town or city to look – colourful and old school (hence being called Old Town).Apart from making some really nice photographs, this stretch of the river and city combine to form an area filled with bars and restaurants that serve up all sorts of food, from pretzels and sausages to international cuisine including Argentine and Portuguese. The food around here (from what I tried) is good and not overly expensive. In the evening the Old Town and nearby areas are bustling with locals and tourists trying to get their fill, so get in early for the best seats. 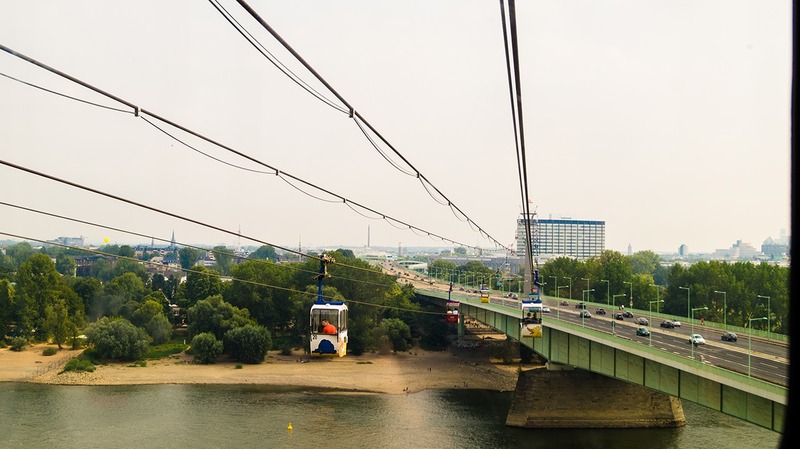 The next two points go hand in hand; Koeln Zoo and the cable cars. 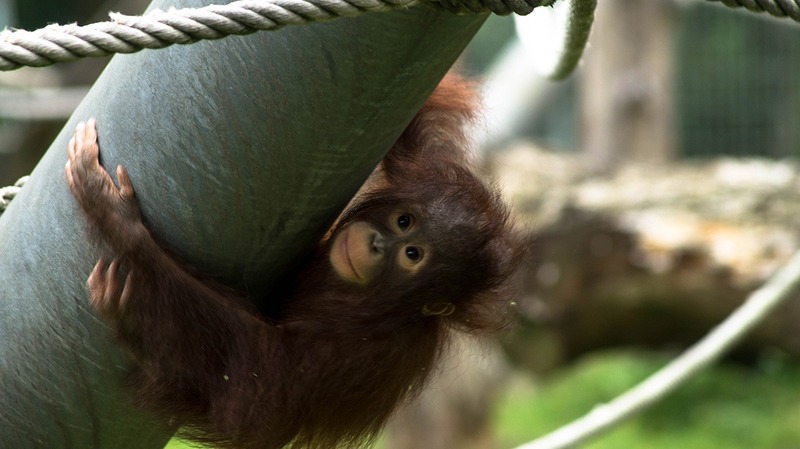 Depending how you plan it you could easily utilise both for a fantastic and not overly expensive day out.Koln zoo costs just €17.50 for adults and there are plenty of animals, both domestic and exotic, for you to see. The zoo is really easy to access. In our case it was just a short (15 minutes, if that?) journey on the underground system, and the zoo’s stop is right outside the zoo itself. You literaly have to disembark the carriage and cross the road and you’re there.Having trekked around the zoo, used the amazing singing condiment dispensers (seriously, why do we not have these back in the UK?) and devoured ice cream and coffee alike, you can make your way back to your accommodation in a few ways. My favourite (even if it gets you lost) being the cable cars. The queue for the cable cars was quite long, and well out the door. The bonus being that the queue was actually moving really quickly. The tickets are really cheap, only a couple of Euros (€6.50 return for adults), and if you do decide to visit the zoo and ride the cars on the same day you can even get a package deal that will save you a few extra euros (enough for a beer at least).The cable cars travel across the Rhine (which we (I) miscalculated), and the zoo, in case you were wondering, is on the same side of the river as the Cathedral, the old town and pretty much everything except Koelnmesse. Due to my excellent navigation we embarked on a cross-river trip towards Koelnmesse, but it was definitely worth it.Just as a pointer, aside from the excellent aerial views of Cologne from up in the cars, the cable cars also pass over a nudist spa, so if you really need to get your fix of naked Germans relaxing, then this really is perfect for you!Reaching the other side left us with a long walk back, and we headed along the river through a park which was actually a nice, serene walk. The best part was that we came across a wedding, with the bride and groom attempting to make their way along the ‘beach’ of the river. Fascinating stuff – it’s amazing what you find when you get lost. Chocolate museum – I initially thought the building was a castle tower, that makes it cool already. Roman museum – the Romanischemuseum is right next to the Cathedral, and in hindsight I should probably have done them together. Expect to see lots of people peering through the glass walls. Düsseldorf – I wanted a day trip to Düsseldorf, but we ran out of time. 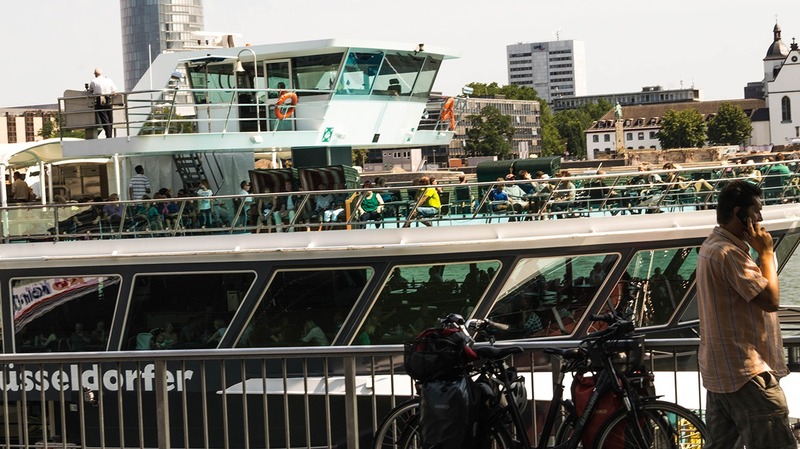 There’s a boat trip along the Rhine which will take you there, or you can catch the train. Water is ALWAYS better, even if you might not have the most amazing views in the world. Cause lets be honest, who doesn’t love boats? Koelnmesse – this is a special one. I did visit koelnmesse, I actually went here for Gamescom. I dislike the whole queuing for food business, it was pretty horrific, but otherwise it was a great experience and really enjoyable for someone like me with a vested interest in the gaming scene. Same place next year? Who knows. If it’s your scene though, you should definitely give it a go. Hopefully at this point you should have a pretty good idea of what to do in Cologne. There are plenty of things that I’ve missed, and as usual I don’t know all of the gory details about the best accommodation, the best restaurants or anything like that. What I do know is that you’ll have a blast there, and there aren’t many things that compare to chilling along the river in the sun with your Kölsch.Enjoy your trip!